World War II was unique in that it was a multi-theater war, and saw fighting occur in: Africa, Europe and the Pacific. The European Theater and the Pacific Theater, in particular, saw some of the most intense fighting of World War II and involved some of the most significant events of the war, including: the Holocaust, the use of atomic weapons and end of famous dictators. The war in the Pacific saw the Allied power of the United States face off against the Axis power of Japan. Click on the highlighted terms to learn more about each topic. World War II as a whole began on September 1st, 1939 when Nazi Germany invaded Poland. The war in Europe began at this point and unfolded as a series of major events and battles. However, the war in the Pacific did not begin until 1941 when the Empire of Japan surprise attacked the United States at Pearl Harbor. 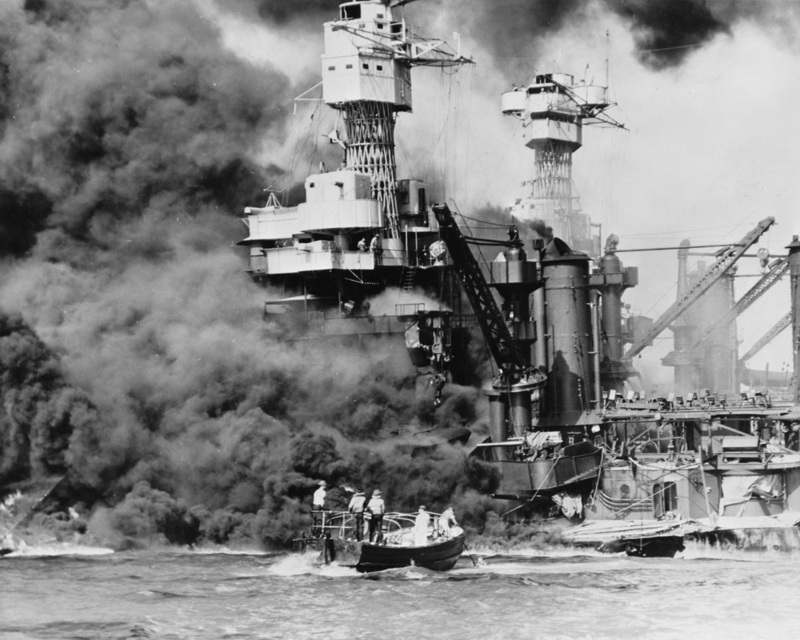 On December 7, 1941, Japan attacked the American fleet at the Hawaii naval base of Pearl Harbor. While the attack was a surprise, it was intended to knock the United States out of World War II. Instead, the attack created a resolve in the United States for victory as war was declared on Dec. 8, 1941 bringing the Americans into the conflict against Japan and its ally, Germany. American President Franklin D. Roosevelt, famously declared the day of the attack as a "date which will live in infamy" in his speech announcing the American arrival to World War II. As a result of the Pearl Harbor attack, American soldiers would play a vital role in the war in the Pacific and major events in Europe, including: D-Day, Battle of the Bulge and the Allied invasion of Italy. After the Pearl Harbor attack the American quickly mobilized their aircraft carriers in the war in the Pacific and used them to carry out their island-hopping strategy throughout the rest of the war campaign. The next major conflict between the United States and Japan in the Pacific was the Battle of Midway. The Battle of Midway occurred from June 3rd to the 7th in 1942 and was a major naval battle fought between Japan and the United States near the Midway Atoll in the Northern Pacific Ocean. Just as in its earlier attack on Pearl Harbor, Japan went into the Battle of Midway with the goal of destroying the United States’ Pacific Fleet and removing the United States as a threat in the war in the Pacific. The Japanese believed that they were going to carry out a surprise attack against the American Pacific Fleet but instead the United States decoded the Japanese plans and ordered their own surprise attack against the Japanese Imperial Navy. 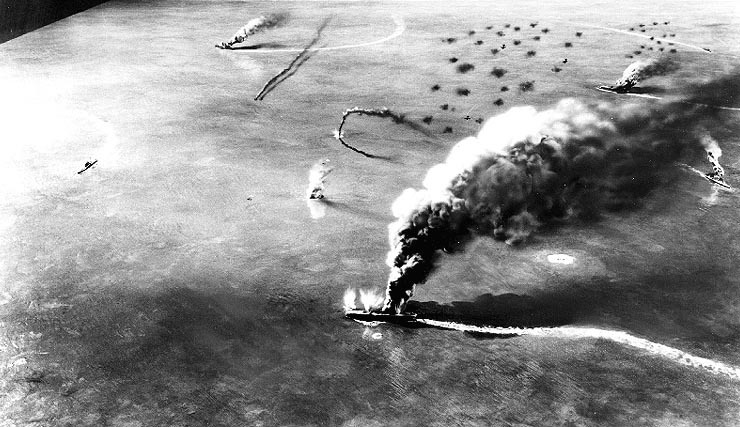 The effective American attack at Midway devastated the Japanese fleet in the Pacific. Many historians now view the Battle of Midway as the turning point of the war because the American victory was so decisive. Japan suffered huge losses and was ultimately unable to rebuild its fleet to counter the United States as they pushed their way towards to Japanese home islands. ​Regardless of the American victory at the Battle of Midway, the Japanese, who were led by Emperor Hirohito, refused to surrender and carried out brutal warfare throughout the Pacific. Japan had a code of ethics for soldiers that was called "bushido" which essentially meant death before dishonor. This means that Japanese soldiers would fight to the death in honor of their emperor, country and family. Japanese soldiers found it dishonorable to retreat or become prisoners of war and would instead be known for charging American defensive lines in order to die. As such, the warfare and battles of the Pacific Theater was brutal and the American strategy of island-hopping was slowed by a fearless Japanese defenders. After the Battle of Midway, American forces swept south to the Battle of Guadalcanal. 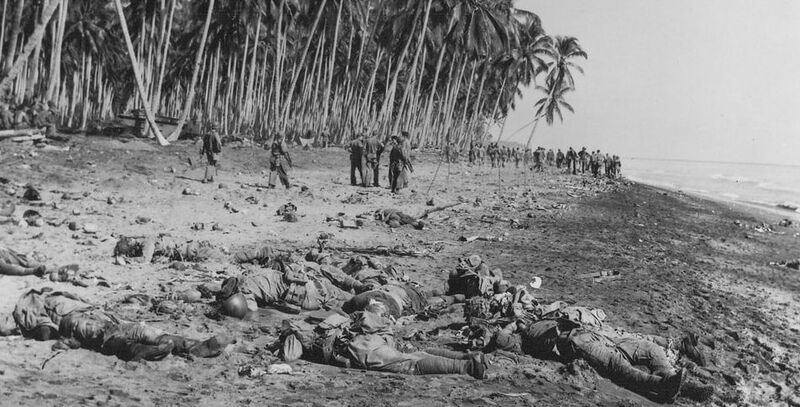 ​The Battle of Guadalcanal was a major conflict in the Pacific Theater of World War II and was fought between the forces of Japan and the United States on the island of Guadalcanal, which is a small island in the South Pacific just north of Australia. The battle took place from August 7th, 1942 to February 9th, 1943. The battle was notable for the fierce fighting that occurred on the island and the importance of the airfield that the Japanese built on the island. The United States hoped to take control over the island and use the airfield to carry out air operations in the region. In the end, the battle was important because it was a major victory for the United States and allowed the United States to begin the process of leapfrogging throughout the South Pacific as they pushed the Japanese forces back to their homeland islands. Next, American soldiers and naval forces moved north towards the Japanese home islands, where they engaged Japanese forces in the Battles of Iwo Jima and Okinawa. The Battle of Iwo Jima was a major battle of World War II in the Pacific and occurred from February 19th to March 26th, 1945. The battle was an American amphibious invasion of the Japan-held island of Iwo Jima which was approximately 575 miles from the homeland islands of Japan. The United States wanted to take control over the island of Iwo Jima, and its three airfields in hopes of using the island as a staging ground for the United States’ attack against mainland Japan. Despite the Japanese resistance, the United States was able to obtain victory relatively quickly due to its overwhelming control over the air of Iwo Jima and due to its military superiority on the island. Today, the battle is remembered for several different reasons. First, it had some of the fiercest fighting of World War II in the Pacific. For example, the United States suffered over 6,800 dead in the battle and another 19,200 were wounded. However, of the original 23,000 Japanese defenders, approximately less than 1000 were taken prisoner or wounded, meaning that the vast majority died in battle. 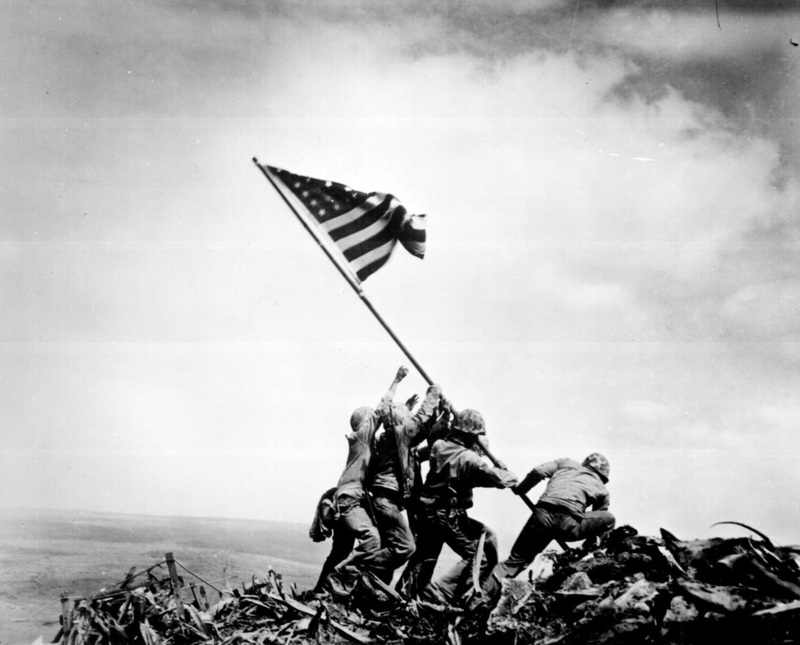 The battle is also remembered for the famous photograph of 6 American soldiers (5 marines and 1 navy corpsman) raising the American flag on top of Mount Suribachi, the highest point on the island. The image has become iconic and has been widely used in popular culture and for war memorials. The Battle of Okinawa was a major battle between the United States and Japan during World War II and is often considered to be the bloodiest battle in the Pacific Theater of World war II. The battle took place from April 1st to June 22nd in 1945. Similar to the Battle of Iwo Jima, the United States’ plan was to invade the island and use it as a staging ground for a larger assault on the homeland islands of Japan. The Battle of Okinawa was one of the bloodiest in the Pacific Theater of World War II and included the largest amphibious assault of World War II in the Pacific. The Battle of Okinawa was a brutal battle for both sides, and its outcome would come to play a major role in the United States’ decision to use the atomic bombs to end World War II in the Pacific. For example, the Japanese defenders suffered over 75,000 casualties in the Battle of Okinawa while the United States suffered over 65,000 casualties and 14,000 dead. The number of casualties on both sides would convince American President Harry S. Truman that a full-scale American assault of the Japanese home land islands would cause a massive amount of American and Japanese casualties. Some historians now argue that this led to him being in favor of the use of the atomic bombs to end the war. 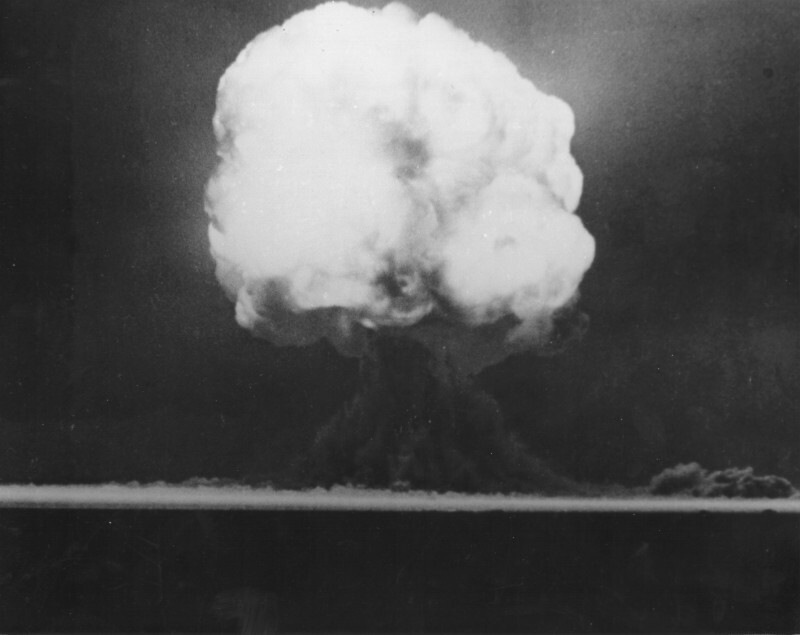 To understand the creation of the atomic bombs you need to understand the Manhattan Project. The Manhattan Project was the codename of the secret American program to create the first atomic weapon during the end of World War II. The project was overseen by Robert Oppenheimer, an American physicist who was the head of the Los Alamos Laboratory in New Mexico where the first atomic bombs were designed. Eventually, the Manhattan Project would lead the atomic bombings of Hiroshima and Nagasaki in Japan, to end World War II. The first atomic bomb dropped on Japan was codenamed Little Boy and was detonated over the city of Hiroshima on August 6th, 1945. Hiroshima is a city on the largest island of Japan and had a population of over 400,000 at the time of the atomic bombing. The atomic bomb was carried to its target by an American B-29 bomber called the Enola Gay after United States President, Harry S. Truman, approved its use against Japan. The bomber was named after the mother of the pilot who flew the B-29 in the mission, Colonel Paul Tibbets. The Enola Gay had taken off from the Mariana Islands in the Pacific Ocean and flew for approximately 6 hours before it was over the city of Hiroshima at approximately 8:15am on the morning of August 6th, 1945. The bomber moved across the skyline of Hiroshima and centered on its target in the center of the city. It then dropped the Little Boy bomb which fell until it was just over 1900 feet above the city. The Little Boy bomb was detonated over the city to maximize its effect and to prevent the shockwave of the bomb from losing its impact as it collided with the earth. The Enola Gay had 43 seconds from the time of dropping the bomb to its detonation in order to escape the area and be outside of the area of the explosion. Immediately after the bombing, the United States called for the full and unconditional surrender of Japan. However, the Japanese leadership delayed and did not respond to the American demands for surrender and on August 9th, the United States carried out another atomic bombing against Japan in the city of Nagasaki. Japan’s surrender was announced on August 15th, and World War II in the Pacific was over. The formal surrender of Japan would occur on September 2nd, 1945 aboard the United States battleship USS Missouri. There, Japanese officials signed the official Instrument of Surrender.